I have a Coffee Tree in my living room. I have petted it for two years now. 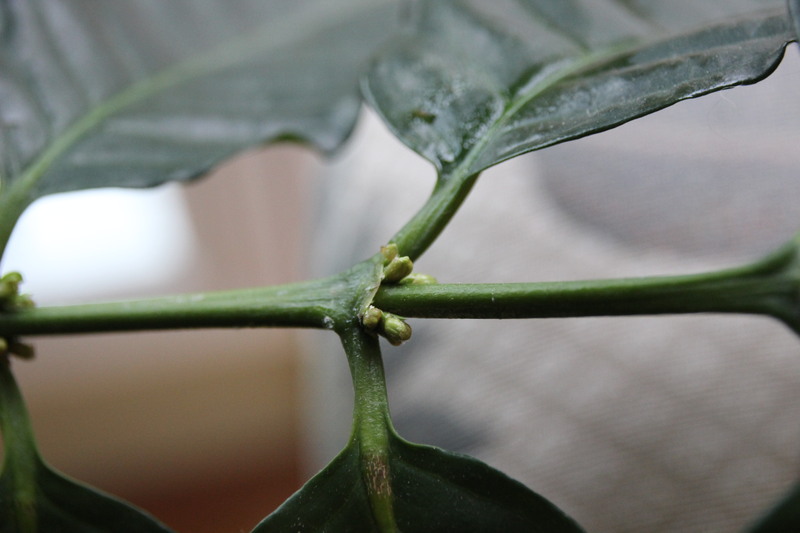 I was excited to see little buds forming at the base of each petiole. Future blooms for the first time! I discovered scale on several leaves and branches. Scale insect at the base of the leaves. 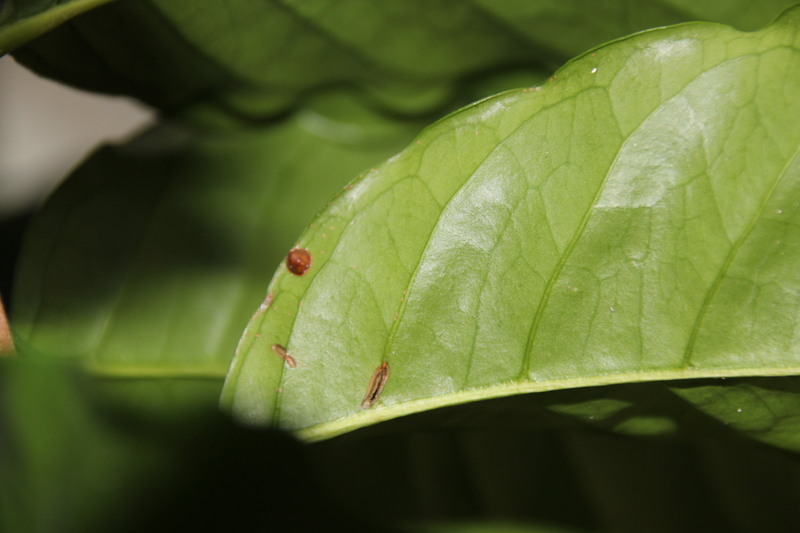 Those nasty scale parasites had invaded my precious Coffee Tree. So out comes the Q-tips and alcohol. For another scale massacre. 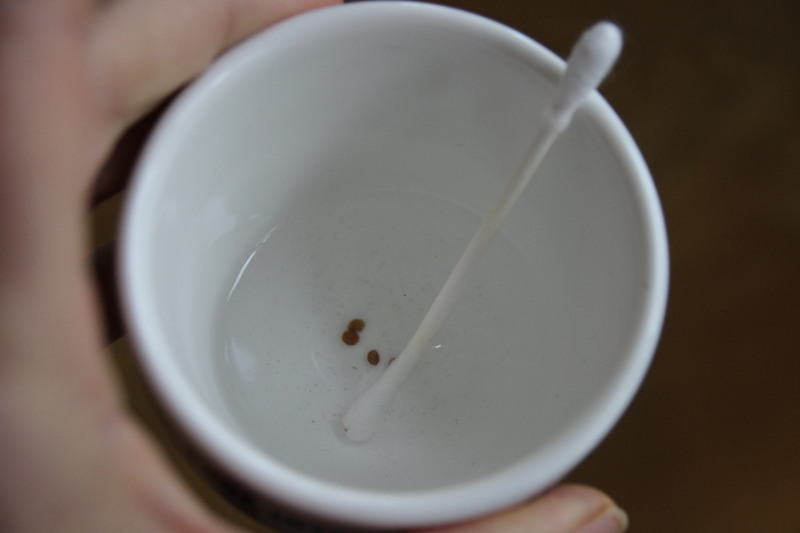 The dead bodies were appropriately collected in a coffee cup. I sang my “Killing Them Softly” song as I murdered the flat sticky foe from leaf and stem. I am happy to report that my Coffee Scales are gone. I had two other emergencies last week. Stay tuned for these. 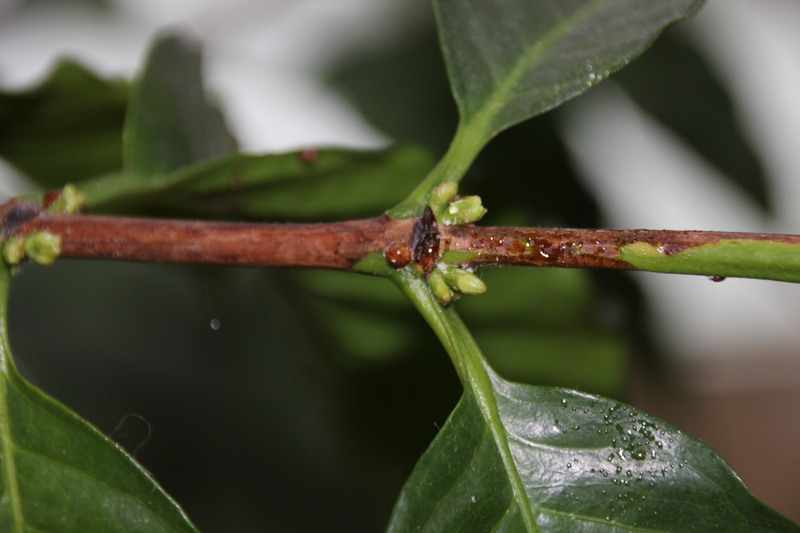 Have you ever seen coffee beans growing on trees? just outside the town of Troutman, NC. They had large photographs of coffee trees and some small coffee trees in the cafe’. This lead to an exciting conversation about the family growing their own coffee beans. I was invited to come to the greenhouse to see the indoor coffee plantation. Lovely Maria is the grower of the non-genetically-modified Arabica bean trees. I have been invited back to witness the days of flowering in May. Now, I have another reason to look forward to spring. Just in case you were wondering, yes, I came home with my own little coffee tree.